Mango season continues. 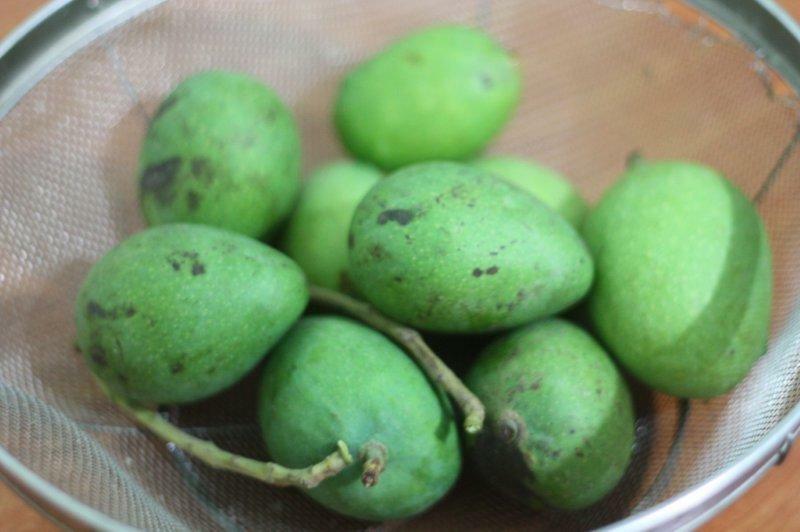 About a week and a half ago, my favorite type of mango, ল্যাংরা (lengra) came in. We have snack mid-morning on school days. I have given them mangoes a few times — and each time, I think, “What a beautiful, healthy snack!” But then afterwards I think: “bad idea.” Mango got smeared on the floor, pants, faces, and hands, and my clay bowl was broken in the shuffle of kids and clumsy momma. Oh well. 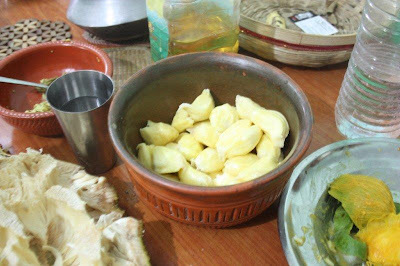 Locals call this month mishti mash, which means sweet month. People don’t just have one or two mangoes a day. They eat piles of them. Jack fruit is the same, because it does not refrigerate well, and the fruit is large. 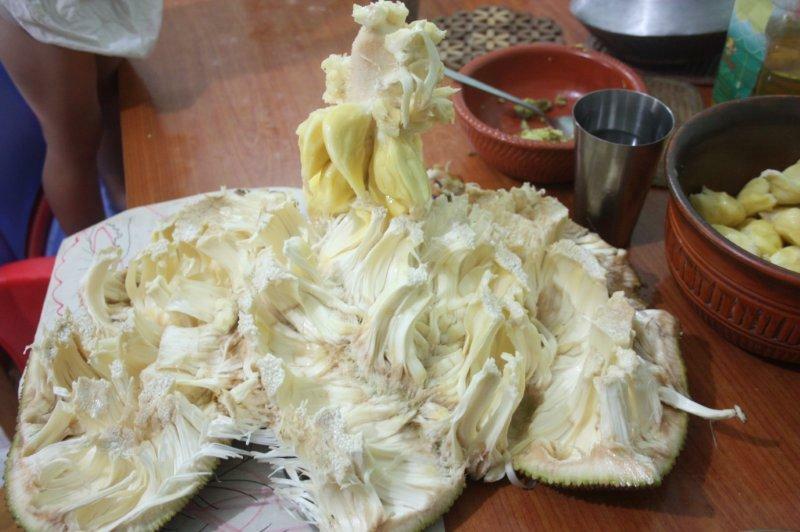 Our first jack fruit of the season didn’t last longer than a few hours, though. The kids loved it. 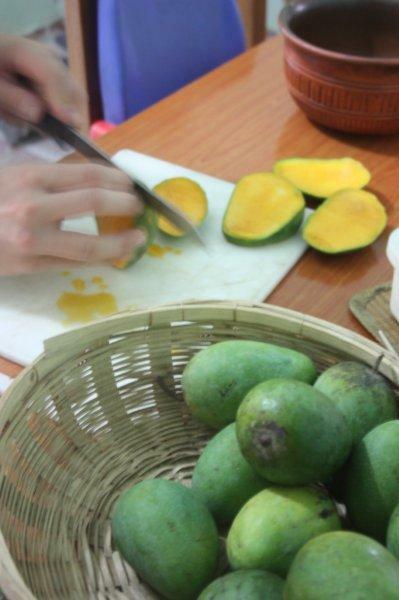 This sweet month is the month of aam paka gorom, which means “mango-ripening hot”. It has to be hot, so that the fruits ripen. The two go together. Such is life. “It’s little mango season”. Indeed it is. 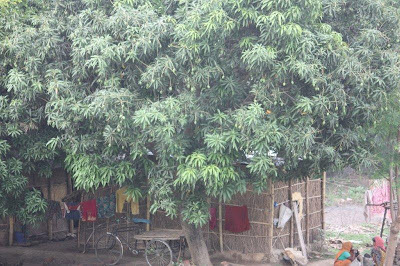 With monsoon storms beginning a month and a half early, little mangoes are already in the market. They litter the ground after a storm. We put them in our lentils, we mix them with tomato and cook them with pach foran for a sweet/sour achar, and we eat them plain with salt. Yum.